WASHINGTON (Dec. 19, 2016)—A new study finds local weather may play an important role in Americans’ belief in climate change. The study, published on Monday, found that Americans’ belief that the earth is warming is related to the frequency of weather-related events they experience, suggesting that local changes in their climate influence their acceptance of this worldwide phenomenon. The researchers found that Americans who experience more record highs than lows in temperature are more likely to believe the earth is warming. 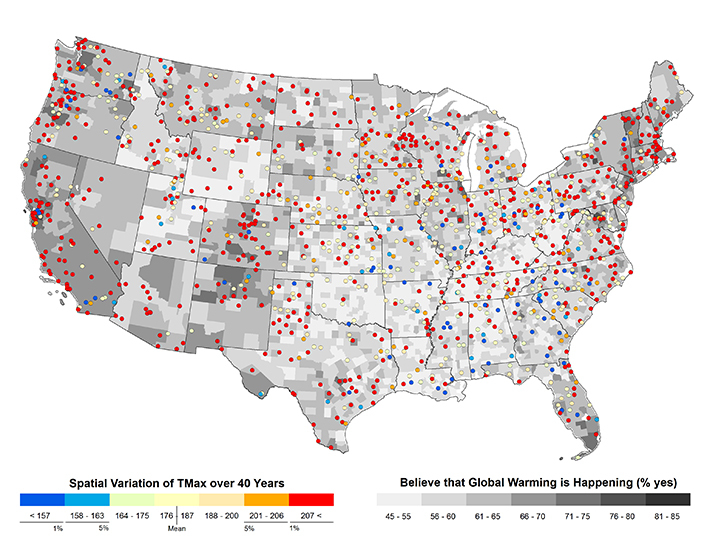 Conversely, Americans who live in areas that have experienced record low temperatures, such as southern portions of Ohio and the Mississippi River basins, are more skeptical that the earth is warming. The study notes that part of this dichotomy may be because of the early terminology used to describe climate change that suggested the earth was simply warming – not changing in innumerable but measurable ways. This might have led residents living in areas that experienced an unusually cold winter to doubt that climate change is occurring. The researchers also found that a recent period of lower-than-average temperatures offset the effect of a long warming period, further supporting their findings that people’s belief in climate change is local and experiential. The scientists note the importance of differentiating between weather, the temperatures of a relatively short period of time such as a season, and climate, the average temperatures over a period of 25 or 30 years. Emphasizing the difference between weather and climate may help scientists more effectively communicate about climate change. The paper, “The Spatial Heterogeneity of Climate Change: An Experiential Basis for Skepticism,” was published in Proceedings National Academy of Sciences.